All winter I’ve been taking baths…mostly to keep warm but also to relax. I always use my own bath salts since they are ridiculously easy. Well I just ran out and decided to try a new recipe. I always use epsom salts because of the many benefits of magnesium that they offer as well as the fact that they are cheap! You can buy a big carton at the drug store for a few bucks. Next I added some baking soda to neutralize the chemicals in our water and to help with absorption of the minerals. And lastly I added my favorite pure essential oils. Today I added Frankincense, Ginger, Lemon and Bergamot. If you are making bath salts as a gift, a good combination is Lavender and Lemon. That is my usual blend but since I have all these wonderful essential oils, I wanted to try something different. 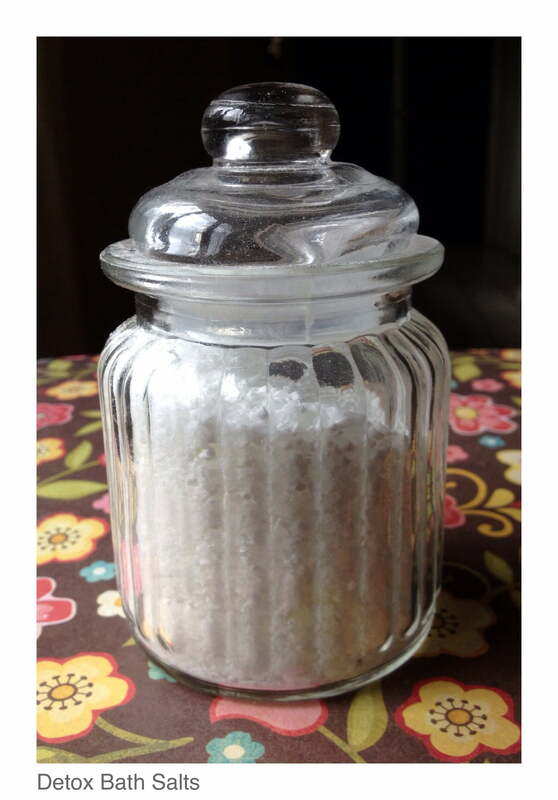 The basic recipe is 1 cup epsom salt to 1/2 cup baking soda to 5-10 drops of essential oils. Next I’m going to prepare a few cleaning recipes that I learned from Garden Matters.com. Check out her recipes here for Citrus Scrub, Countertop Spray and Linen Spray. I am especially interested in her countertop spray since it’s safe for granite countertops! Hi Alison, I’m sorry I don’t have the amounts. This is an old post that I need to redo! What I would suggest is start with less and add more. So for the Frankincense one I would try 2 drops Frankincense, 1 Ginger, 1 Lemon and 1 Bergamot. I would start with the 5 drops of oil and if you want it stronger, add a bit more but don’t use more than 10 drops total. As for the Lavender Lemon one, both are all purpose kinds of oils so I could try 3 drops of each to start with. Hope that helps.